Would you like to experience an authentic Italian language class? 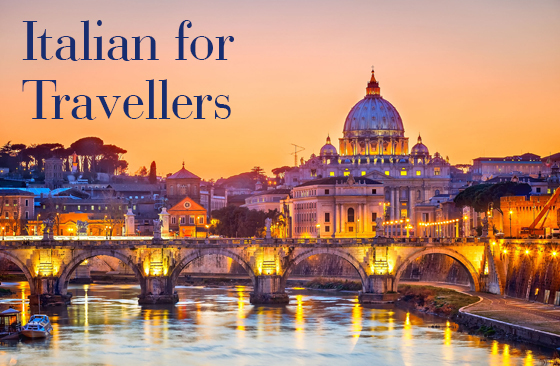 Come and learn Italian for Travellers at Loreto Normanhurst. It is a course offered to current Loreto Normanhurst parents only; students unfortunately are not allowed to participate. Learn how to order food, ask for directions, use public transport, find the right accommodation and understand authentic cultural elements. The course consists of eight sessions and will be run by professional teaching staff from the Loreto Normanhurst Languages Department. The cost is $20 per person for all eight sessions. Our last lesson, Thursday 20th September, will be at an Italian Restaurant where you will be able to order authentic Italian food in Italian. We will depart from school and back by school bus. The exact time of departure and the cost of the dinner will be discussed. Unfortunately, no make-up classes or refunds will be offered if you are unable to attend your class. If the teacher is unable to take a class due to illness or unforeseen circumstances, another day will be arranged to make up the time. There are limited places available. To secure your place, please register via the link below before Friday 27 July. If you would like more information please send me an email .